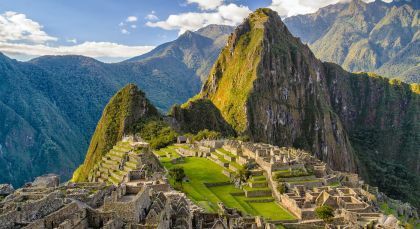 A trip designed for the hiking enthusiast, explore Peru’s very best trails: the Inca Trail to Machu Picchu and then the jaw-dropping mountain scenery and snowy peaks in the Cordillera Blanca. 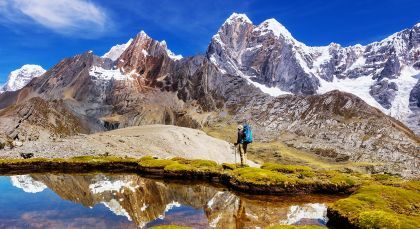 Offering glaciers, scenic lakes and dramatic snow-capped mountains, the Cordillera Blanca is an outdoor enthusiasts dream! 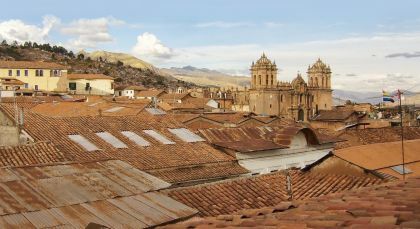 Forming part of the larger Andes range, the region is ideal for those searching for active adventure or a relaxing getaway in the mountains. With your private guide and driver, make your way along a rough and rural track south of Huaraz eventually entering Huacaran National Park. Gradually ascend on this gentle hike through a verdant valley to Rajucolta Lake. 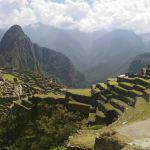 Though reaching an altitude of 4250 meters, we recommend this activity as a great way to acclimatize before doing more strenuous hikes in the region. Following the mountain stream through flat pastures filled with cattle, take in the stunning panorama of ‘Raju,´ which in native Quechua means ice capped mountain. Enjoy lunch by the lake which is situated at the base of soaring Huantsan peak where an impressive glacier cascades into the water. (09:00 – 16:30, Box lunch included, Private activity, Easy to moderate hiking). 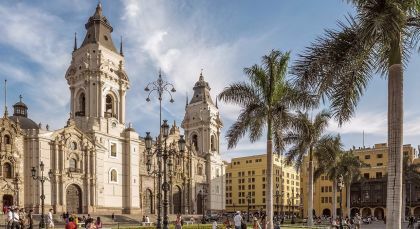 Our flights to Lima were delayed twice causing us to miss 2 days worth of our trip. Having an on-call coordinator reassured us that rearrangements would be taken care of and we were glad we went with Enchanting Travels.